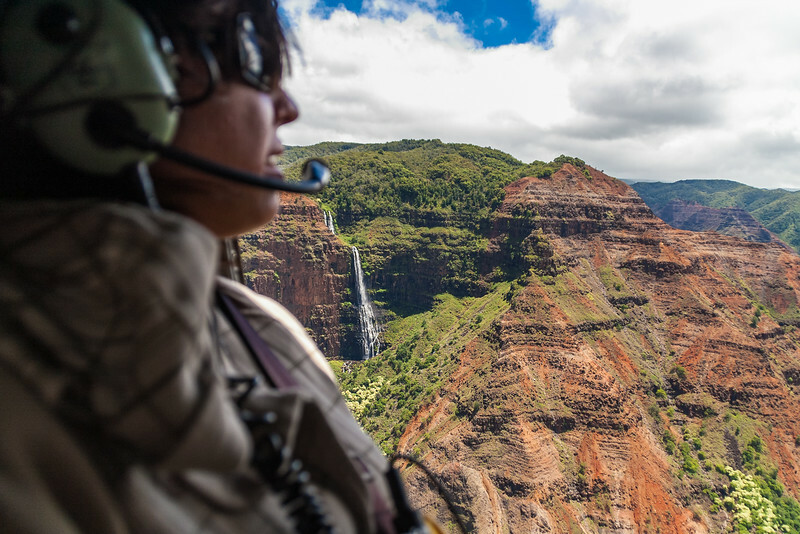 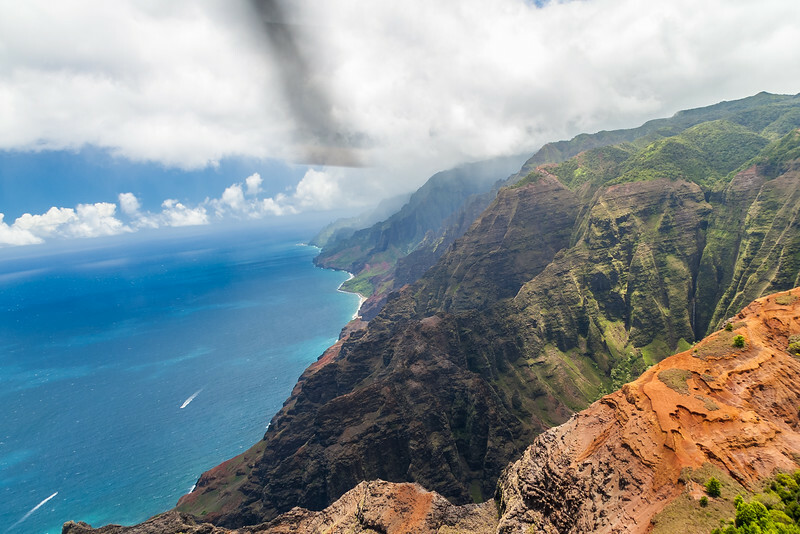 Flying along the hundreds of waterfalls on the interior of Kaua'i. 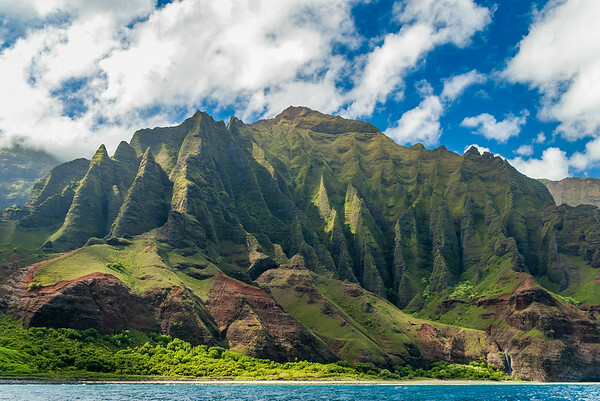 Hawai'i. 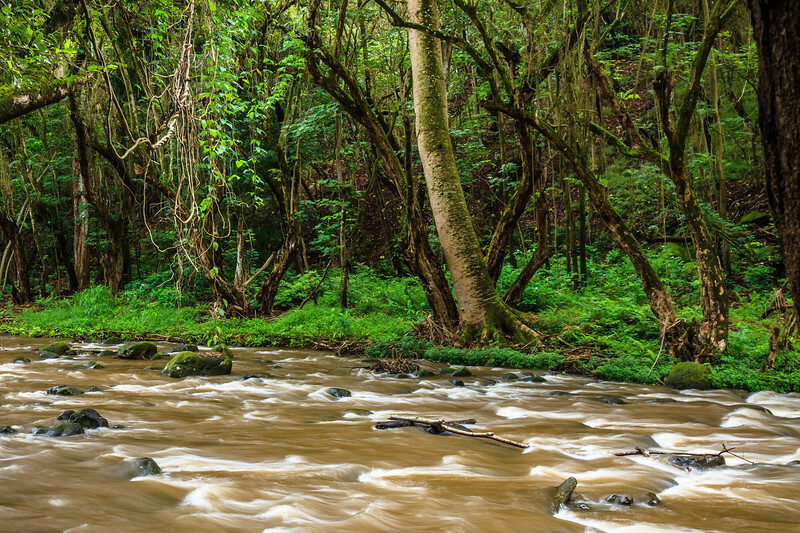 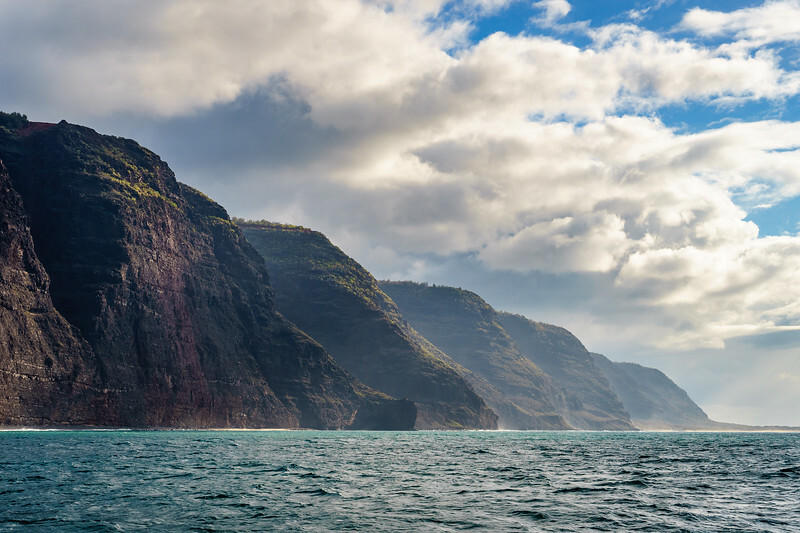 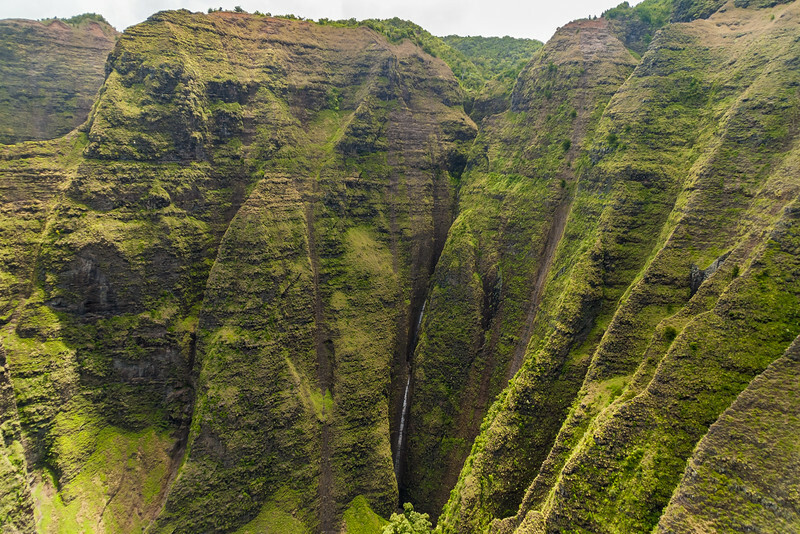 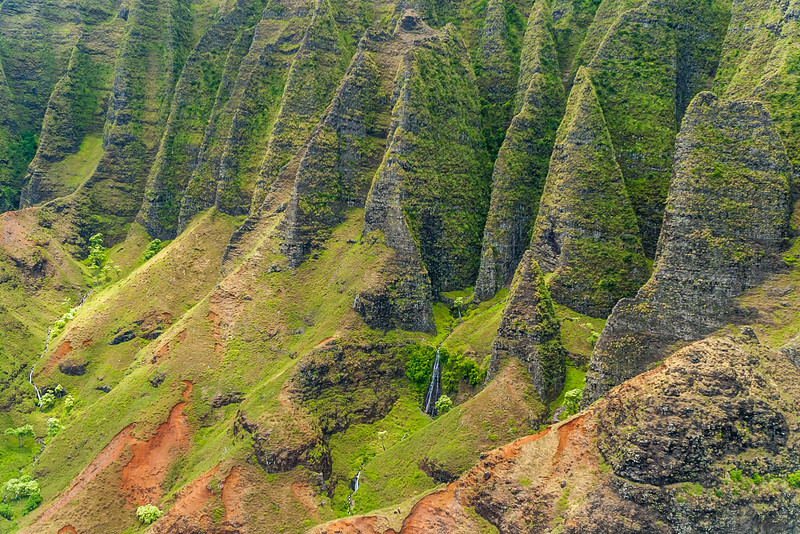 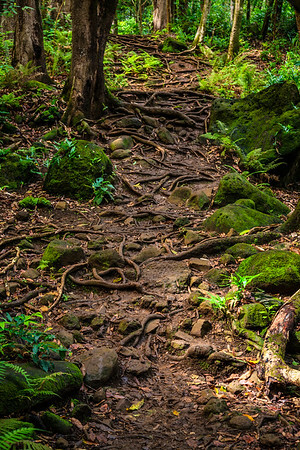 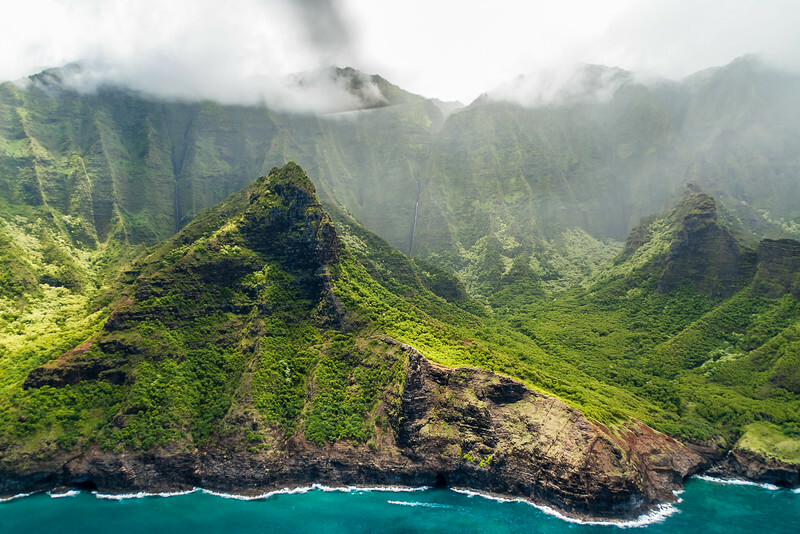 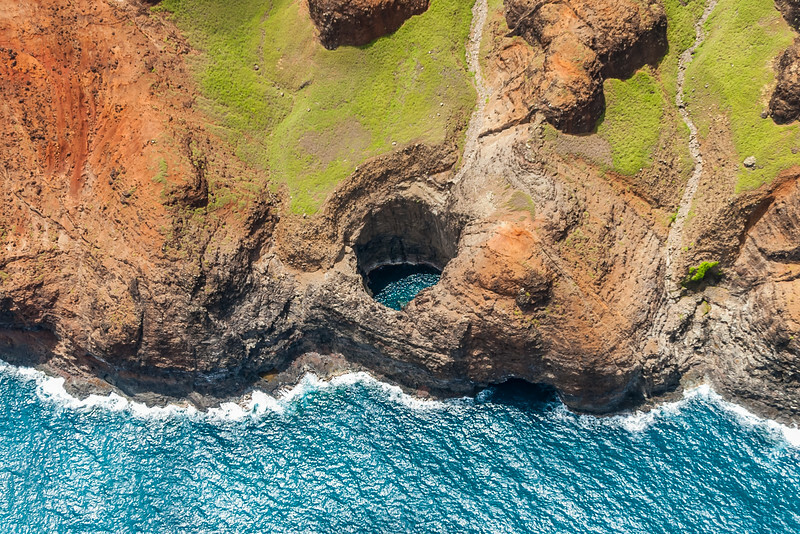 Small waterfalls are all over the Napali Coast of Kaua'i. 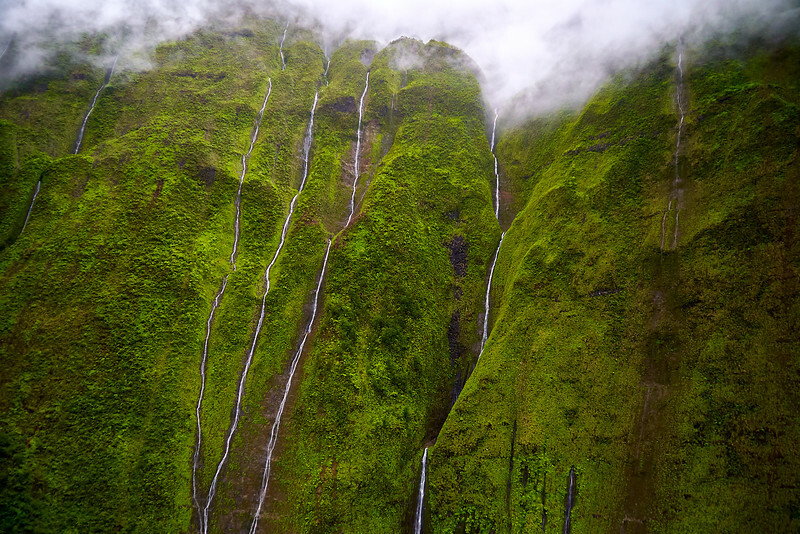 Hawai'i. 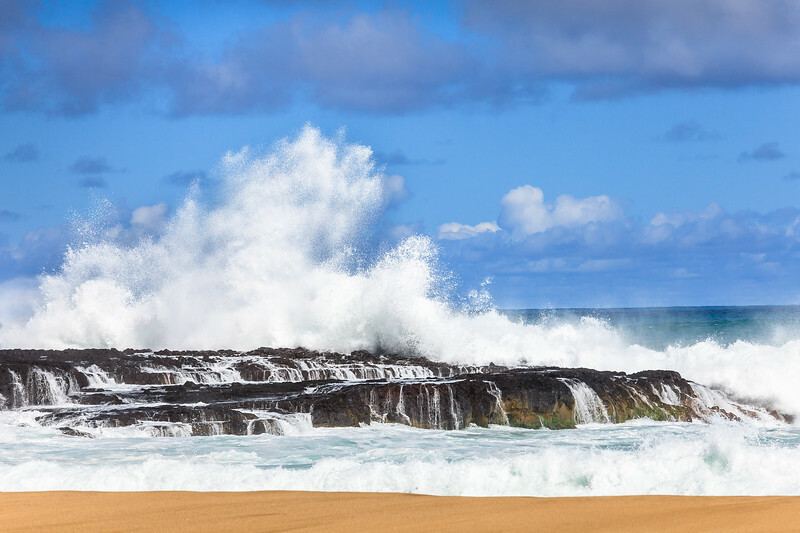 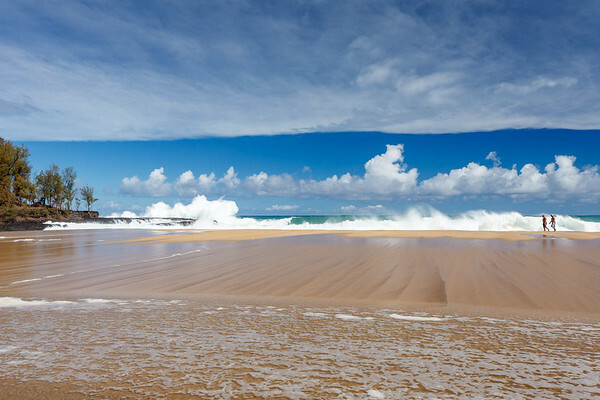 Waves crash on Lumaha'i Beach on the north shore of Kaua'i. 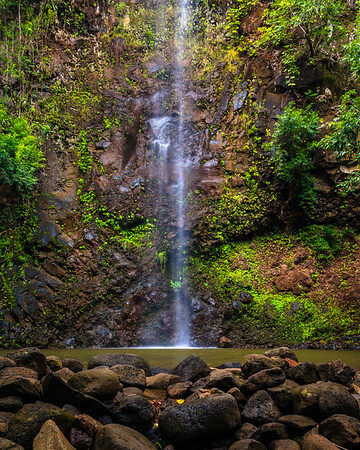 This beach was made famous in the film "South Pacific"
Uluwehi Falls is a great place to cool off after the hike up. 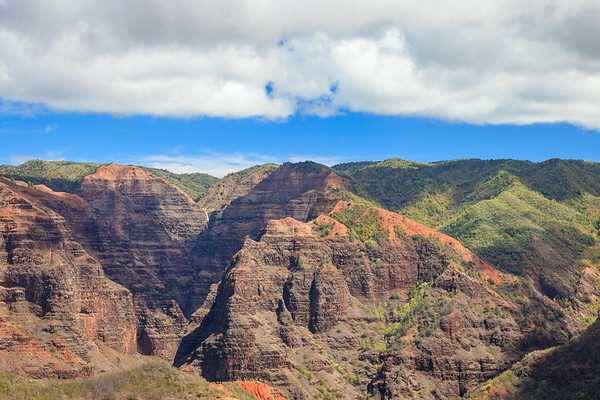 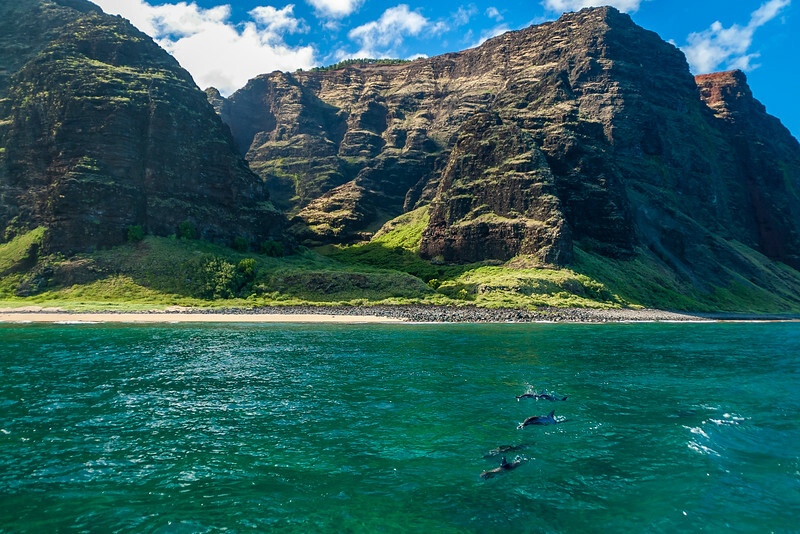 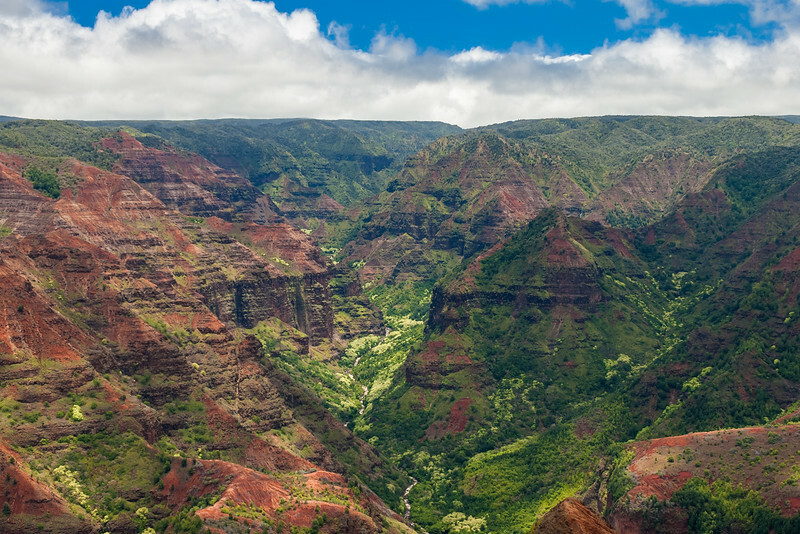 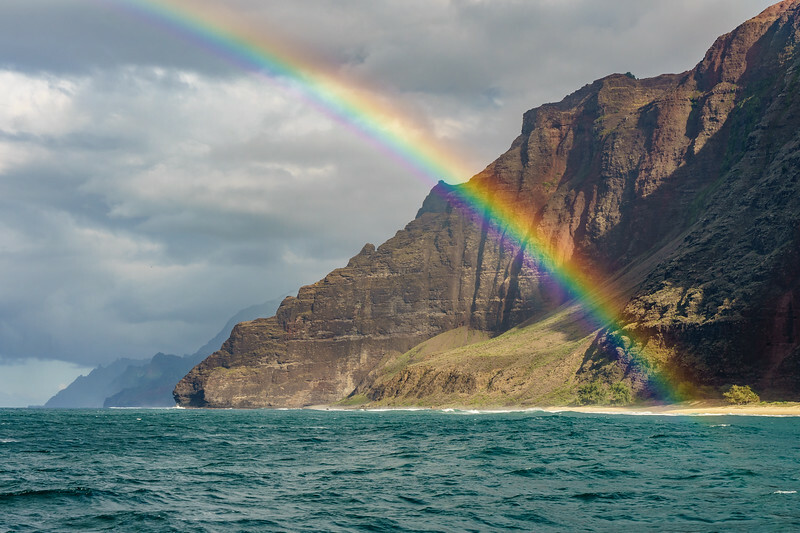 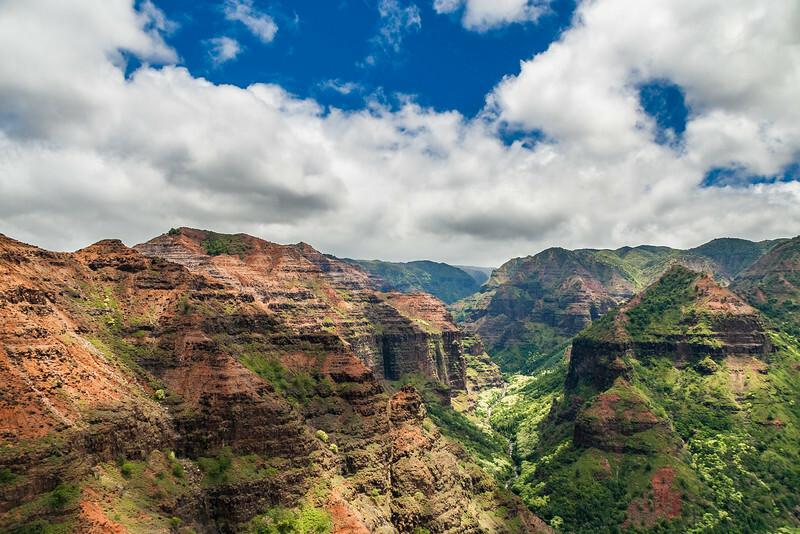 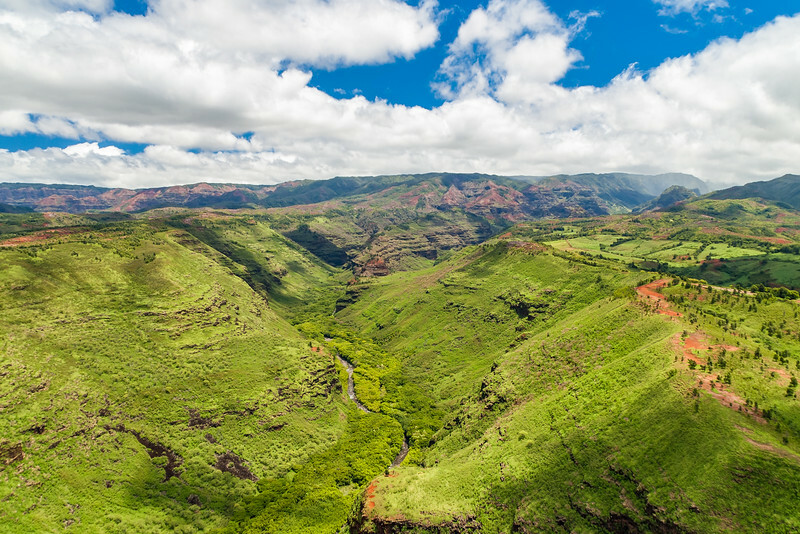 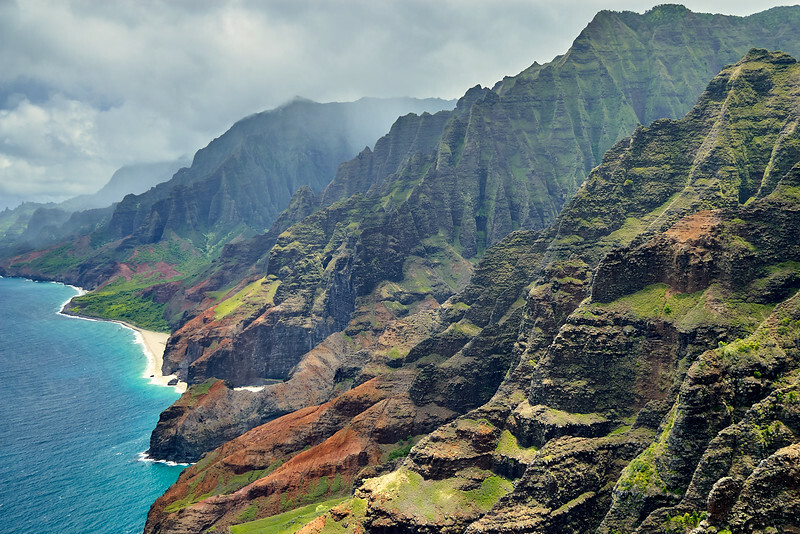 Kaua'i, Hawai'i. 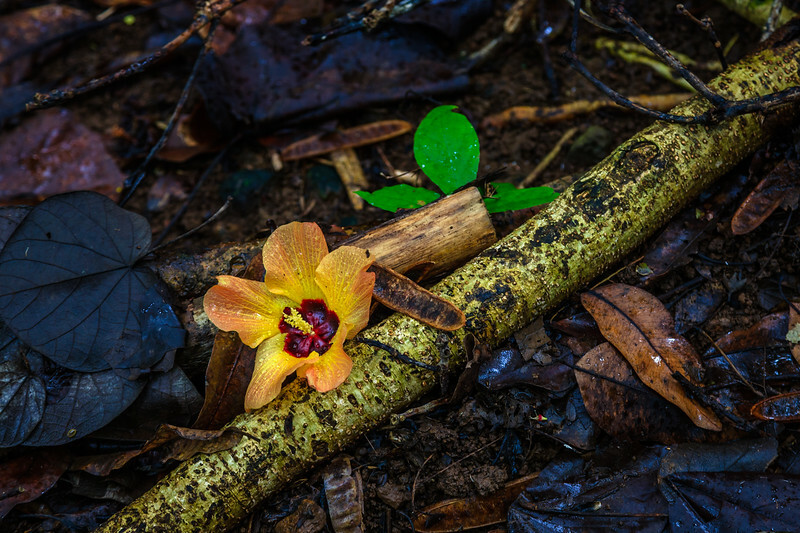 The Sea Hibiscus, common on the trail to Uluwehi Falls, has a daily life cycle of going from yellow to orange to red. 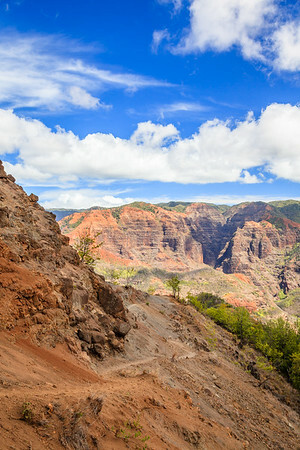 Kaua'i, Hawai'i.